Meet our ex-Military Man Mitch. Now, that’s quite a few M’s, but if anyone can handle it, it’s Ops Director Mitch. There’s nothing that Mitch can’t deal with (except for mediocrity), which is why he has the critical job of looking after all of your beloved boxes in our warehouse. 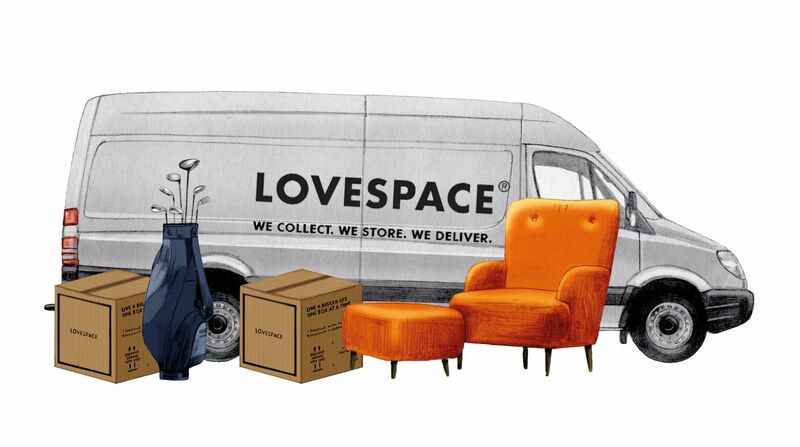 Fondly referred to as ‘The Fortress’ here at LOVESPACE, our warehouse is in Luton, just outside of North London. It’s here that your precious boxes are stored with high levels of protection, precision and care that validate its Fortress-y credentials. Under Mitch and his team’s watchful eye, hundreds of incoming and outgoing boxes are coordinated as a military operation on a daily basis. Sitting in our office in London, we can only imagine what life in the warehouse is really like, and like to picture Mitch in camouflage uniform, barking orders over a megaphone to his operations team as they patrol the aisles armed with ladders and labels. 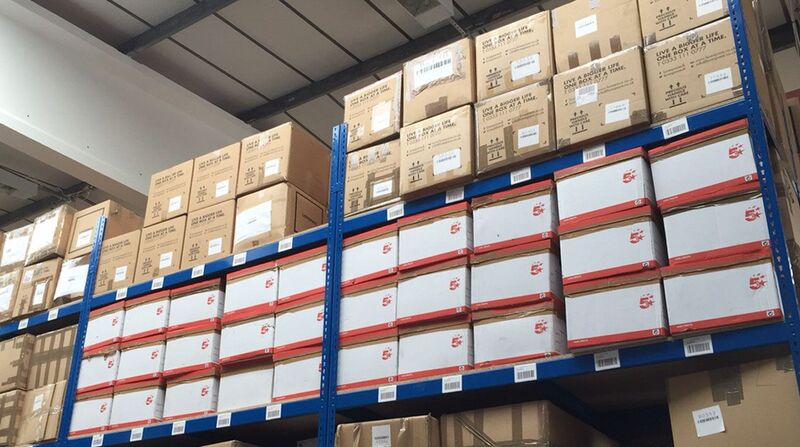 Although we have no doubt that your boxes truly are in the safest hands possible, perhaps this image is just a teeny, tiny bit fanciful…Let’s chat to the man himself to find out more about what life in the warehouse is really all about. What were you doing before you joined LOVESPACE? 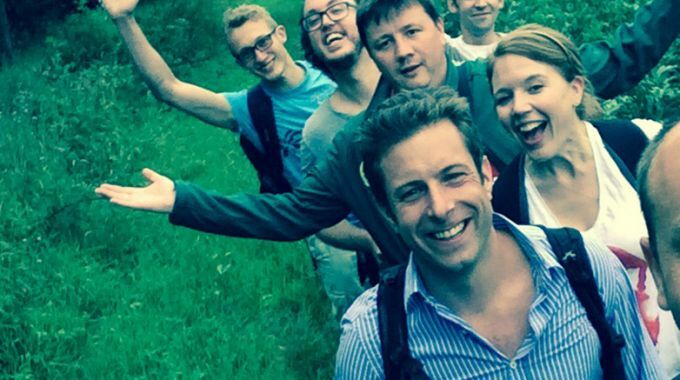 I was in the army for nine years, and then Operations Director for an engineering company. I was very keen to do business in a ‘hands-on’ role, not to go and work in a bank, which is what a lot of the ex-army guys do. I have always looked for roles that are challenging and exciting. Why did you join LOVESPACE? My approach was not to look for a specific job, but to look for a company with huge potential, with people that invigorate me. I spoke to lots of people and heard about Brett and Zipcar, and then read an article in the FT about Brett’s new start-up, LOVESPACE. I met Steve about this time last year. I had a baby boy on the Tuesday and they allowed me to delay my interview with Brett until the Wednesday morning, with my first day the next Monday! That Monday, with Steve and Brett away, I remember standing in the middle of the warehouse surrounded by thousands of boxes. It was an exciting feeling. As Ops Director, I aim to be one step removed from the frontline of the warehouse. However, because we’ve moved warehouse and gone through our really busy time, I’ve been spending time here making sure that the team are okay! Right now, it’s processing the incoming volume, allocating manpower and making sure everything is following process and being accounted for. Normally, I would be looking at how we can be more efficient with cost and time, seeking to improve the customer experience from an operational perspective. The goal for me is to deliver the best experience for every customer, whilst making sure we can do it at scale. That’s the trick – everything that the team is focusing on here is for today, but I need to be looking at tomorrow, or three months to a year ahead. What’s your favourite piece of warehouse equipment? My favourite new toy is the scanner. It’s a hand-held supercomputer with a laser that makes you feel like superman! Then when you fancy being batman, there’s the wave-rider, a machine that drives down the aisles and goes up and down. It’s like a cooler version of a fork-lift truck! What is the most bizarre item you’ve ever come across being stored? A massive Teddy bear that came in from a friend of a friend of mine actually! If you were a box, how safe would you feel being stored in your warehouse? Totally safe. It’s 100% dry and temperature controlled. What do you do when you’re not guarding the warehouse with your life? Look after my 1-year-old boy Oscar and when that’s not tiring enough I like to run the odd ultra-marathon, which is typically 2 or 3 marathons in distance. Picture the scene: You’ve finished a successful day of coordinating the warehouse activity. You’ve got the entire warehouse to yourself. What song would you put on full blast and dance down the aisles to? The warehouse has spent the summer taking the mick out of my music choices!